The Chief Councillor of the Haisla Nation Council has been announced as the keynote speaker at a prestigious event next month in Ottawa. Crystal Smith will give a speech to the Macdonald-Laurier Institute, during its annual dinner at the Canadian War Museum on February 20th. The theme this year is "Beyond Reconciliation: Forging a new partnership with Indigenous peoples." Smith has been described by Globe and Mail columnist Gary Mason as representing "a new generation of aboriginal leadership in British Columbia, one that is young, educated and willing to challenge customs that have held native communities in Canada back for decades." Among the panel speakers will be Karen Ogen-Toews, the CEO of the First Nations LNG Alliance. As you likely know, our annual dinner is less than a month away. 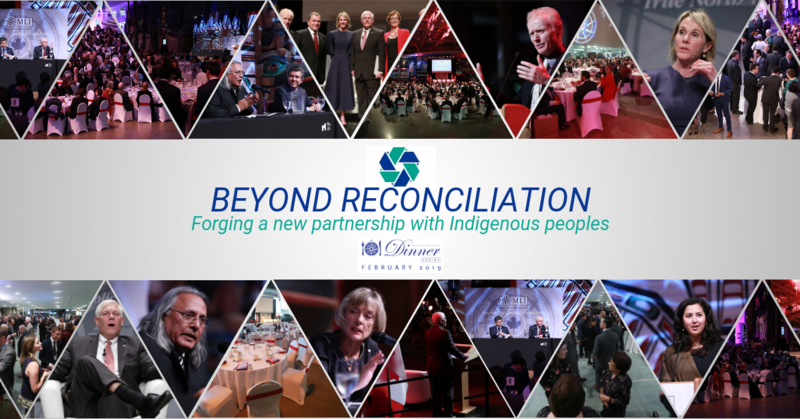 This year's theme is "Beyond Reconciliation: Forging a new partnership with Indigenous peoples." Today, we are pleased to officially announce that Crystal Smith, the Chief Councillor of the Haisla Nation Council, will be delivering a key note speech! According to Globe and Mail columnist Gary Mason, Ms. Smith "represents a new generation of aboriginal leadership in British Columbia, one that is young, educated and willing to challenge shibboleths that have held native communities in Canada back for decades." You do not want to miss what she and our other esteemed speakers have to say about Indigenous economic opportunity in Canada. Just like past years, this dinner will feature a lively discussion of the issues and an opportunity to hob nob with Canadian leaders in government, industry and the media. For more information, visit our event page on our website here. We hope that you can join us!